As the name says, multi-step inequality takes more than two steps to solve the problem. 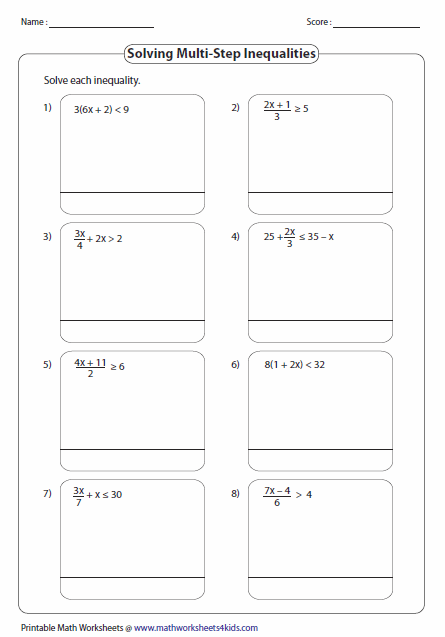 This page provides the best-practice resources in solving and graphing multi-step inequalities. 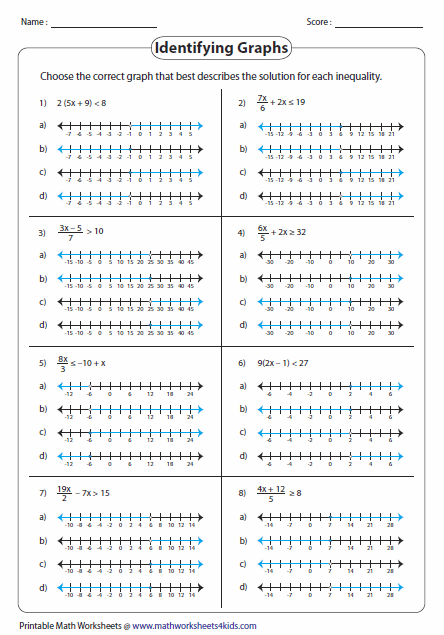 Multiple-choice questions are given in three major forms, identifying graphs, inequalities and interval notation. 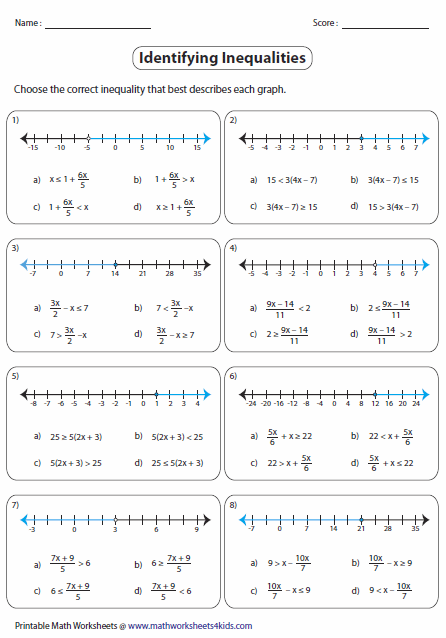 Plug in the values for each multi-step inequality and identify the correct solution. Solve each multi-step inequality. 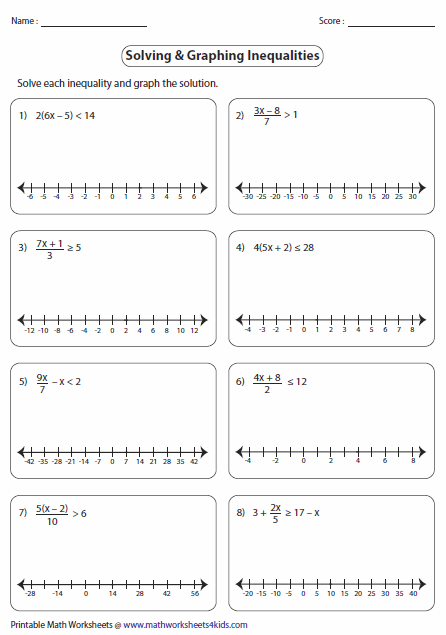 There are eight problems in each worksheet. Hard levels contain algebraic expressions in fractions. Solve each multi-step inequality and graph the solution. Please use blank paper for calculations. 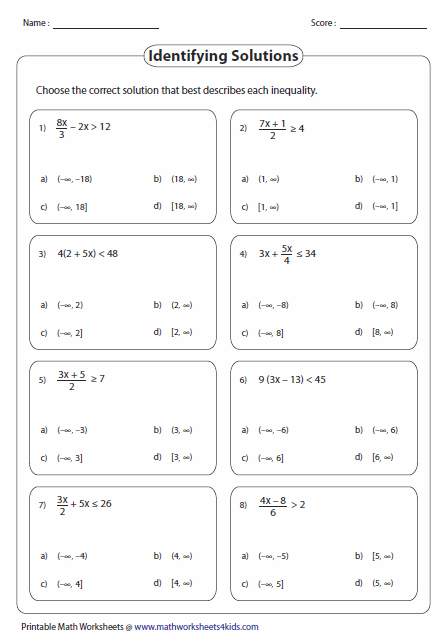 Each worksheet has eight multiple-choice questions with solutions in interval notation. There are four graphs in each question. Solve the inequality and identify the correct solution graph. Solve each inequality from the choices and identify the one that has the given solution graph.